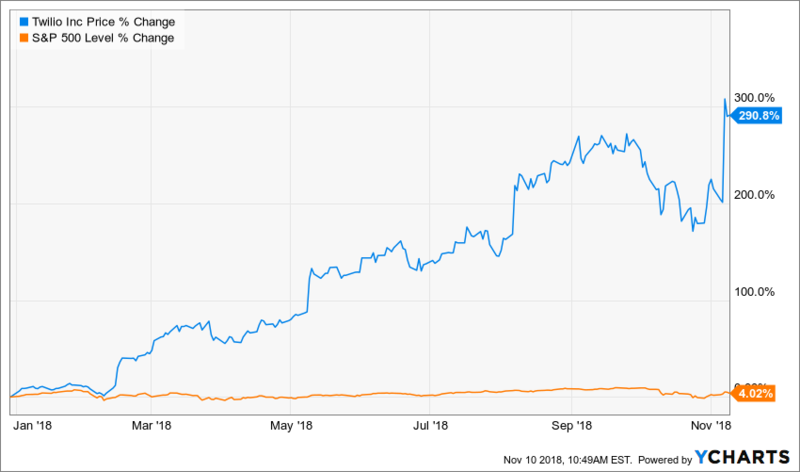 To say that Twilio Inc. (TWLO) has had a healthy 2018 is an understatement. That is because the stock has risen by nearly fourfold this year, crushing the S&P 500’s return of 4%. It is hard to find any stock that has put together the same type of performance this year. The cloud computing company has also seen its share of hedge funds running to buy the stock, during the second quarter. It turned out to be a good bet because the stock has increased by 63% since the end of June. The stock was also added to the WhaleWisdom WhaleIndex 100 on August 15 and has increased by 29% since. 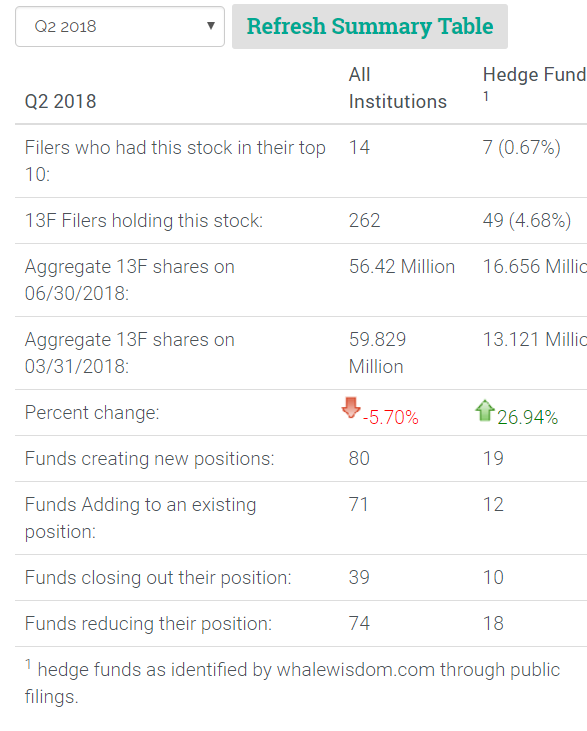 During the second quarter, hedge funds increased their total 13F holdings by 27% to 16.6 million shares. Also, 19 of the hedge funds started new positions in the stock while 12 added to existing ones. Meanwhile, 10 closed their holdings and 18 reduced their stakes. Overall the number of total institutions, including investors such as mutual funds, decreased their total 13F holdings by 6% to 56.4 million. Hedge funds are betting on Twilio’s ability to deliver significant growth in the future. The company reported blowout third quarter results on November 6. Earnings per share came in at $0.07, which was $0.05 better than analysts’ estimates. Additionally, revenue beat estimates by 11% coming in at $168.9 million. Analysts estimate that the company will grow its earnings by 64% in 2019 to $0.18 per share, followed by growth of 93% in 2020. Revenue is forecast to rise by 31% in 2019 to $825 million; that is up from prior estimates in July of $744 million. Meanwhile, growth is forecast to remain steady in 2020 too, increasing by 26%. The company is going to need to keep growing its revenue and earnings because its current valuation is astronomical. 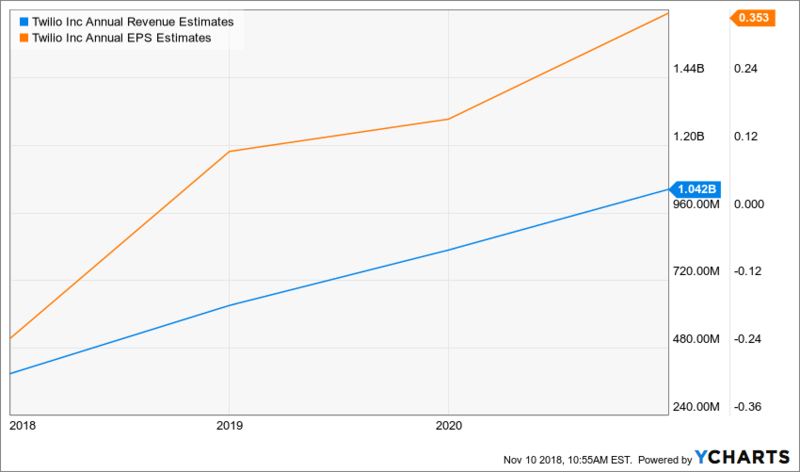 The stock is trading at a 2020 PE ratio of 267, which is about 16 times higher than the S&P 500’s valuation. Hedge funds made the right bet in the second quarter and reaped the reward. The big question is how much more the stock can continue to rise, and if these same hedge funds are not going to now take their profits and run. With a valuation as extreme as Twilio’s, investor expectations have now grown extremely high. If the company can deliver the big quarterly beats, then shares can continue to soar. If not, then stock has much room to fall. The question that remains; who will be left holding the bag. This entry was posted on Tuesday, November 13th, 2018 at 8:22 am and is filed under Stock, WhaleIndex. You can follow any responses to this entry through the RSS 2.0 feed. Both comments and pings are currently closed.